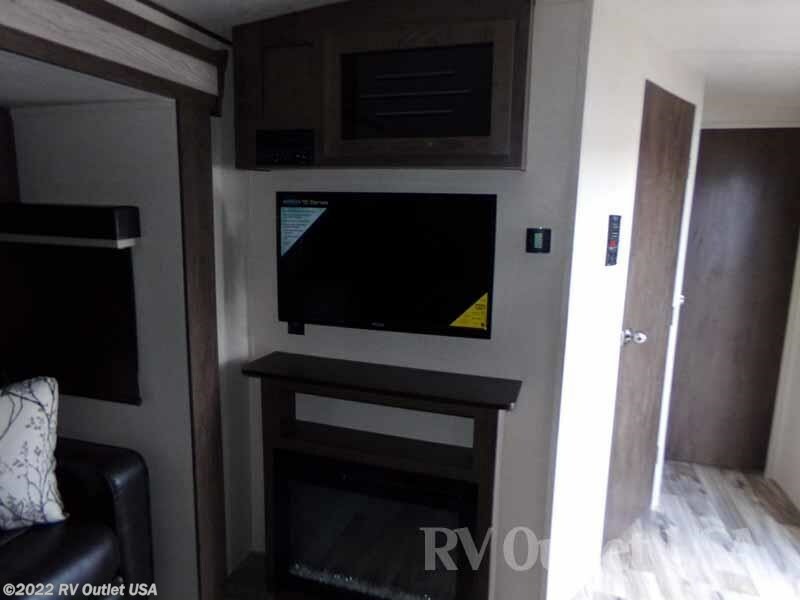 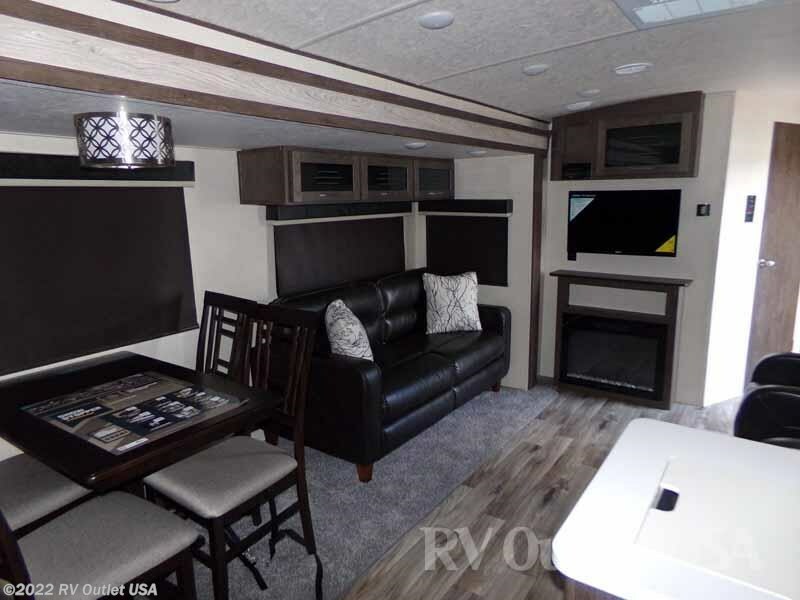 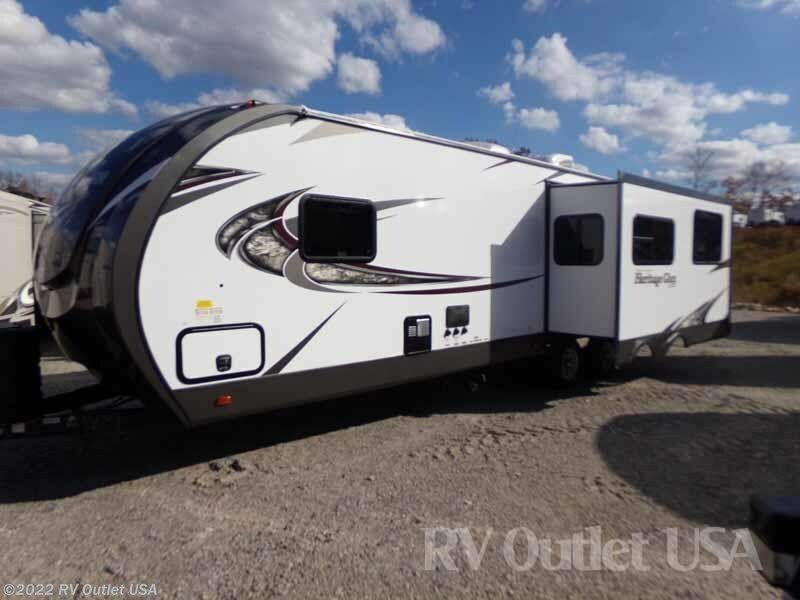 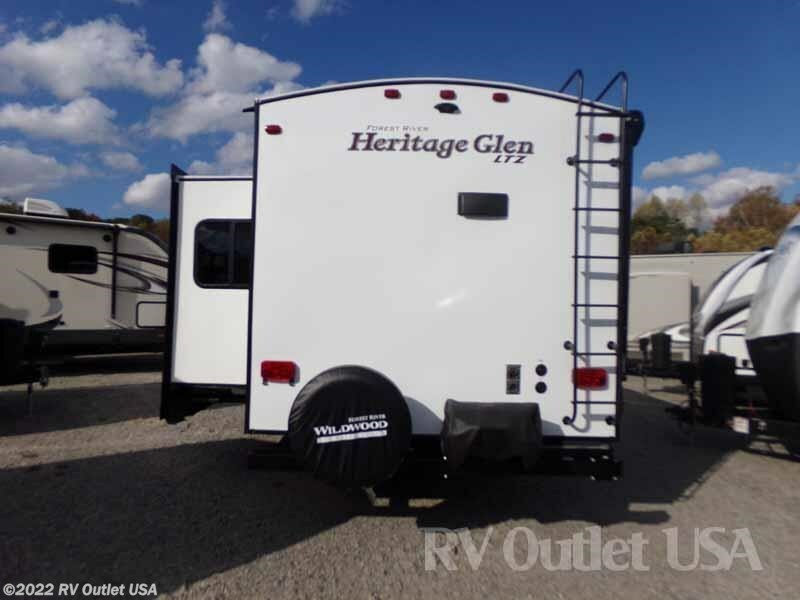 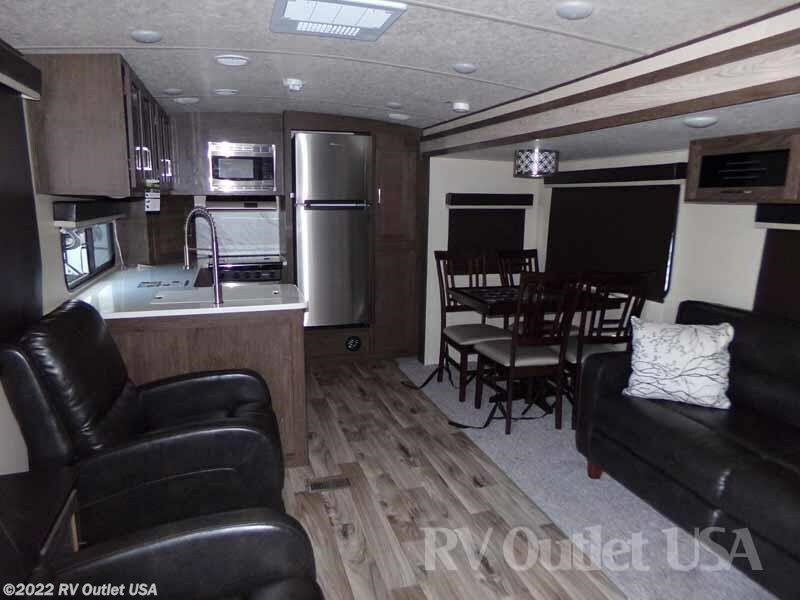 Introducing one of Forest River Heritage Glen's newest travel trailer ultralight floor plans, the brand-new 2018 Heritage Glen 282RK which is 35' long and weighs only 6,799 pounds which is perfect for any half ton truck or SUV! 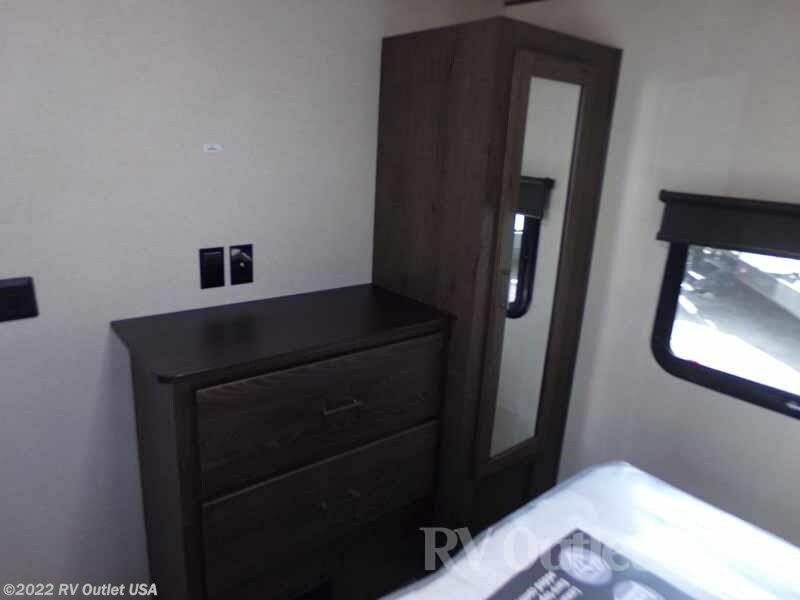 This floor plan has a walk around queen bed in the front with overhead cabinetry and wardrobes on both sides, and it has a wardrobe at the foot of the bed along with a dresser for clothes storage. 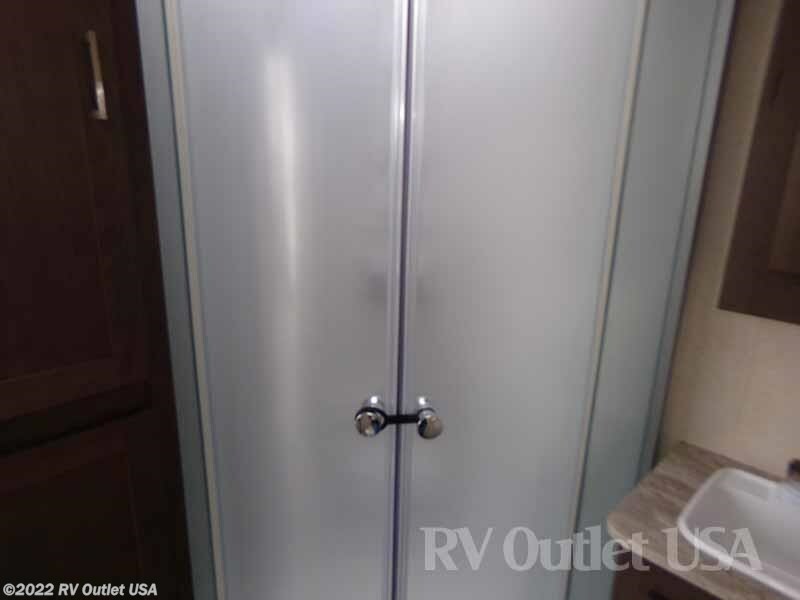 It also has a three-quarter privacy wall with a door that gives you privacy for the master bedroom. 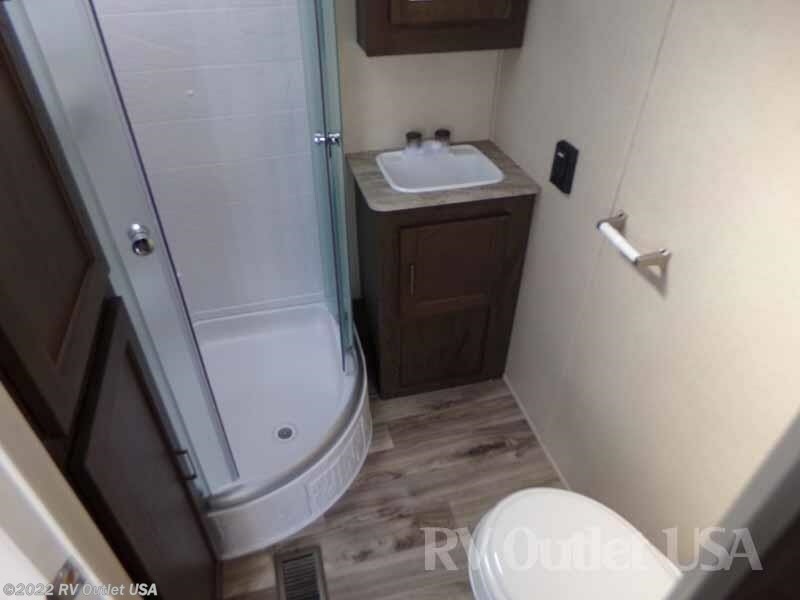 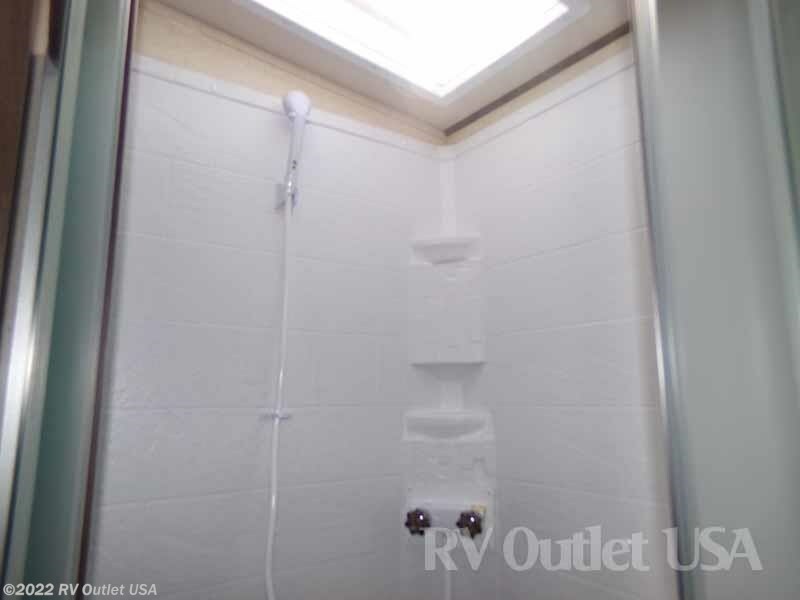 It has a side aisle bathroom with a radius shower with glass enclosure, a pantry, a toilet, and a sink/vanity with a mirrored medicine cabinet. 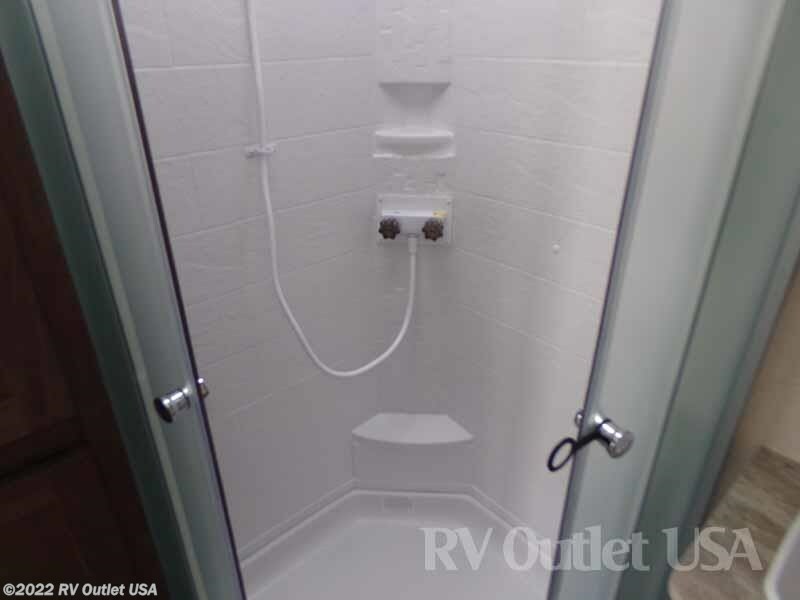 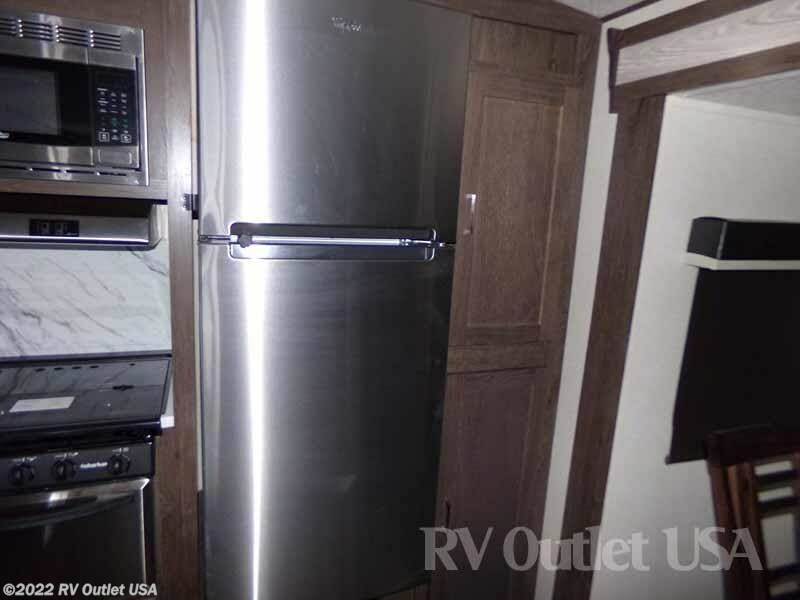 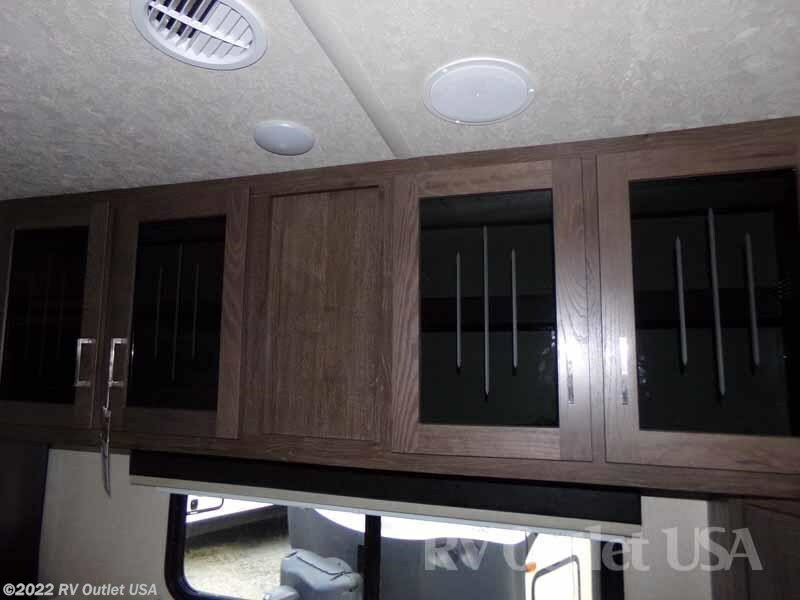 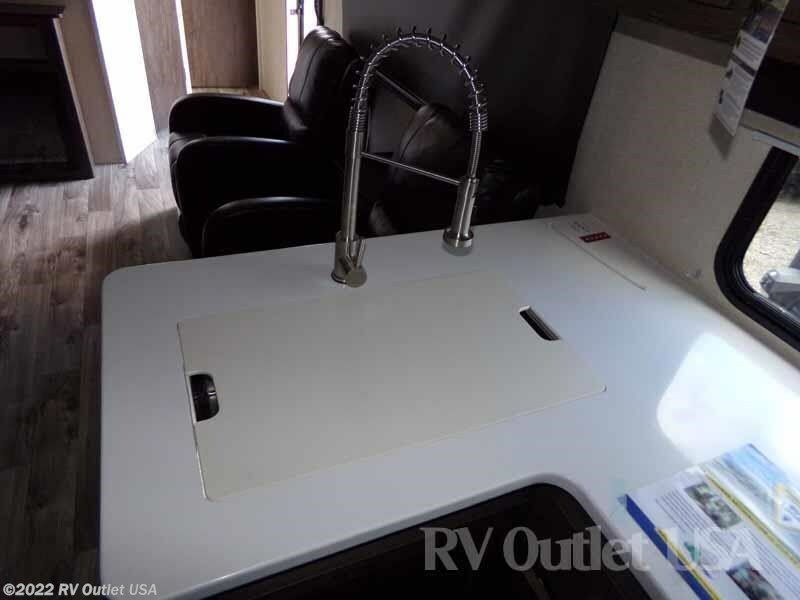 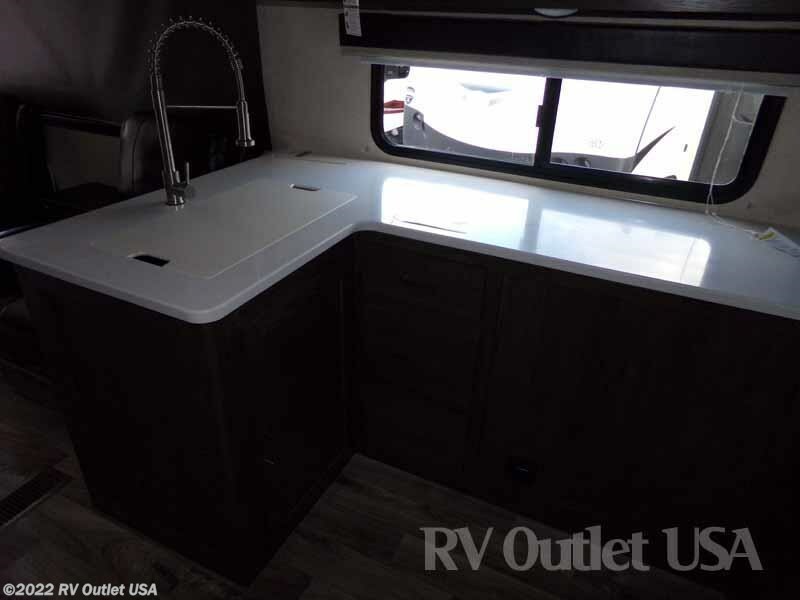 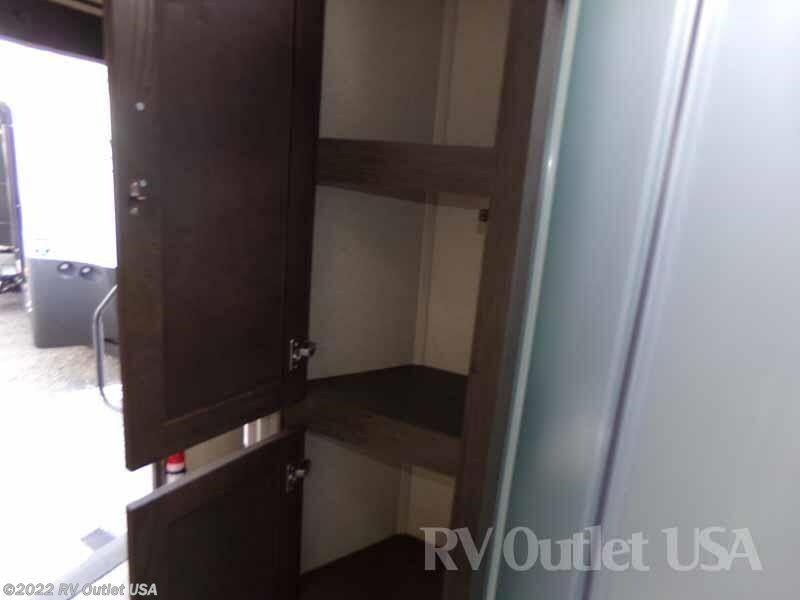 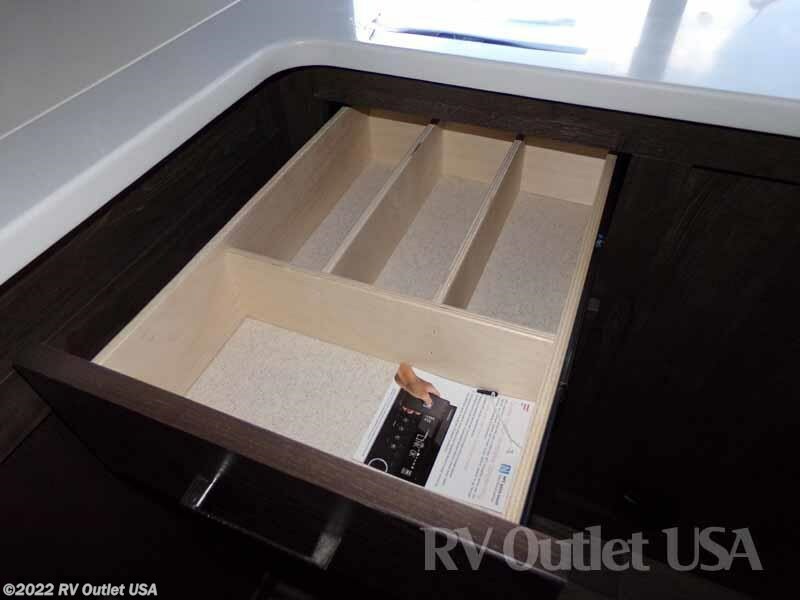 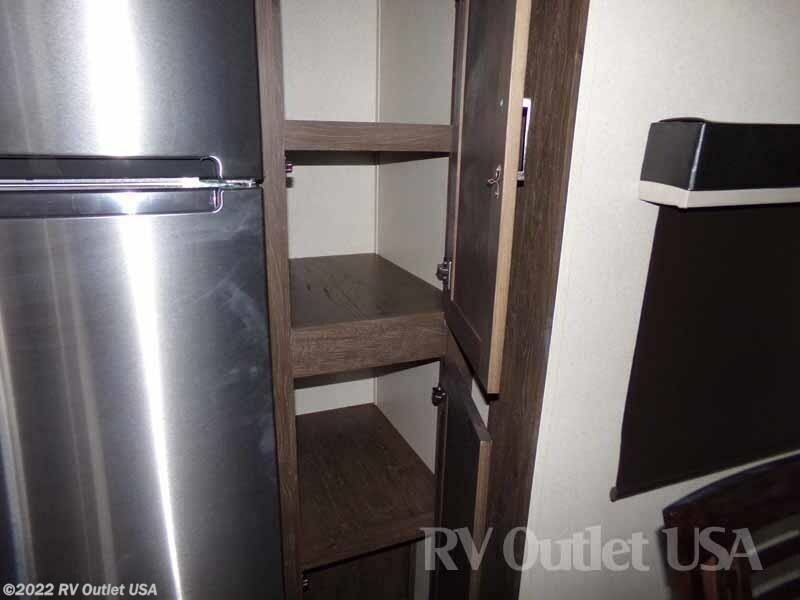 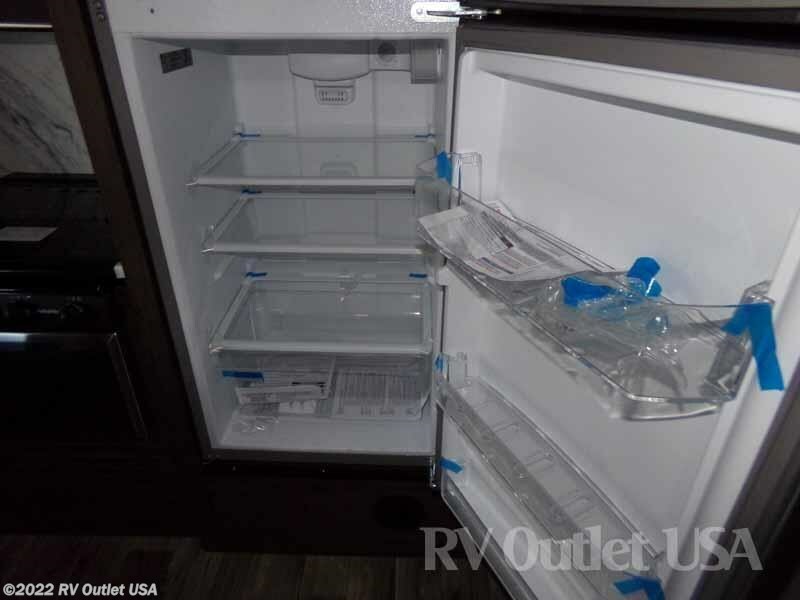 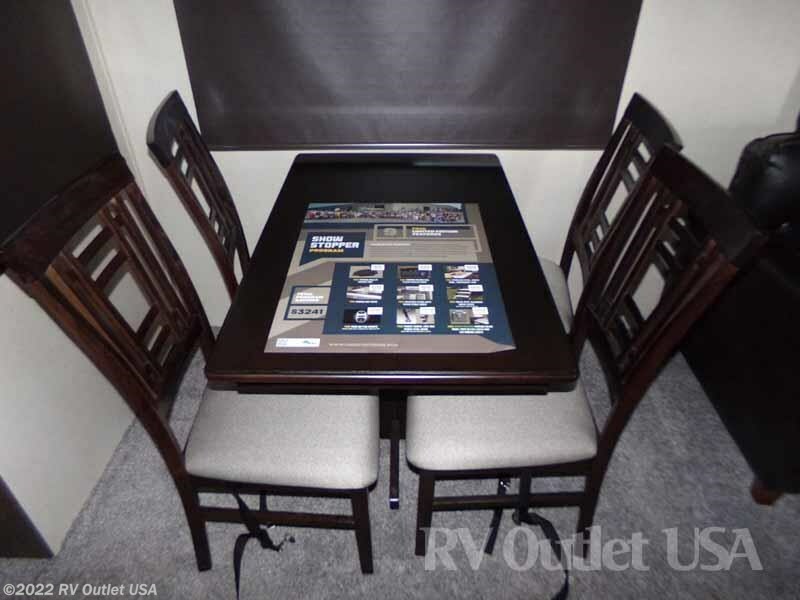 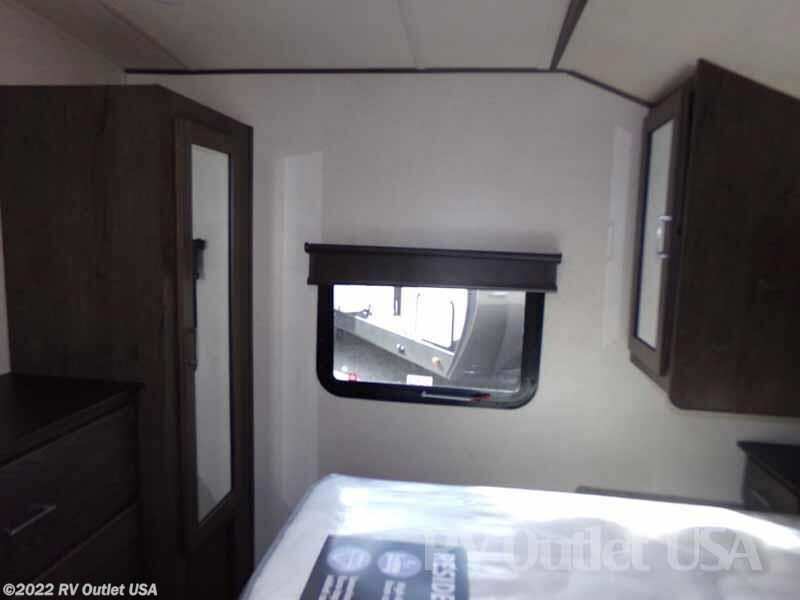 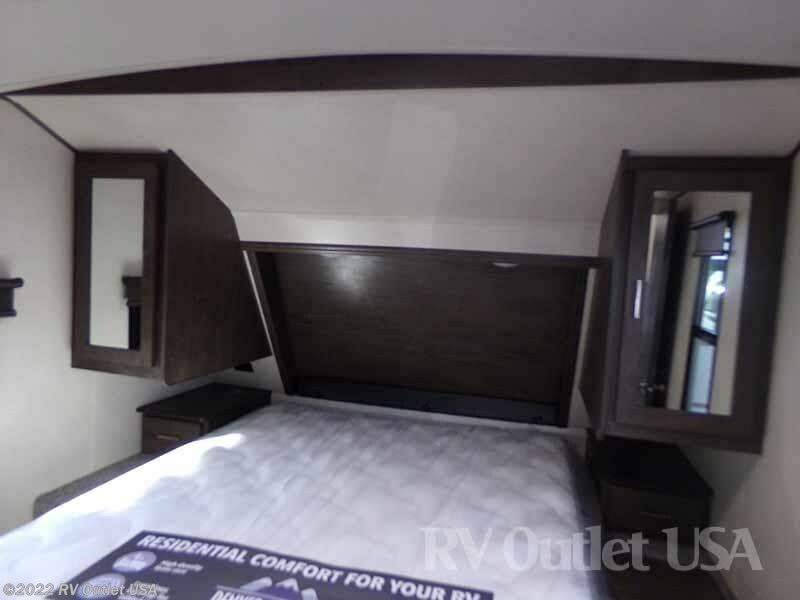 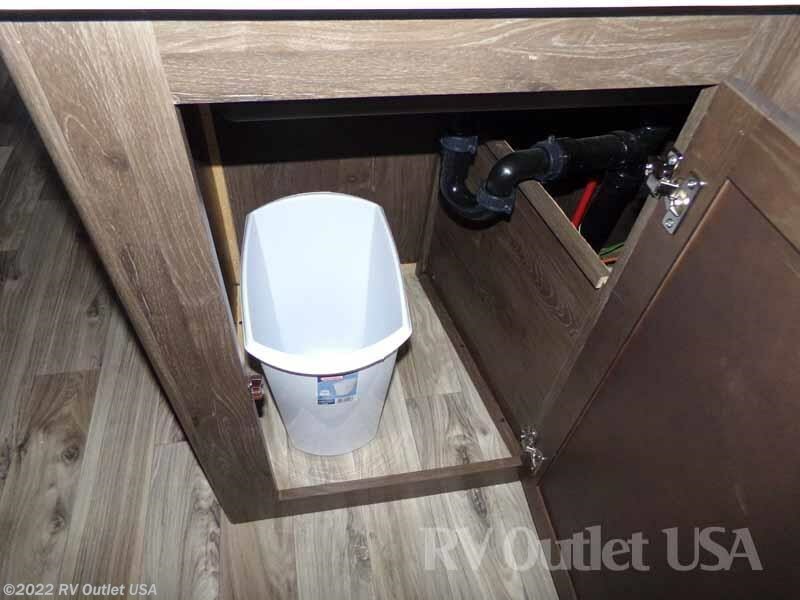 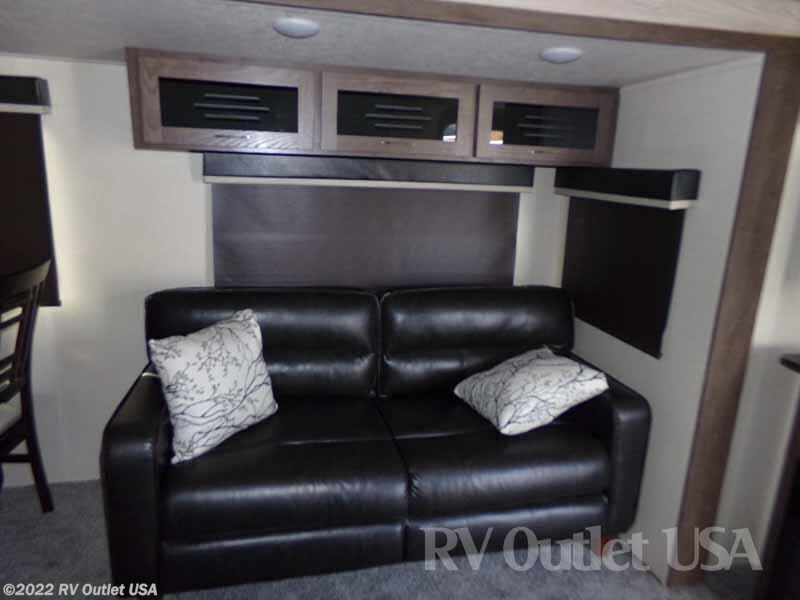 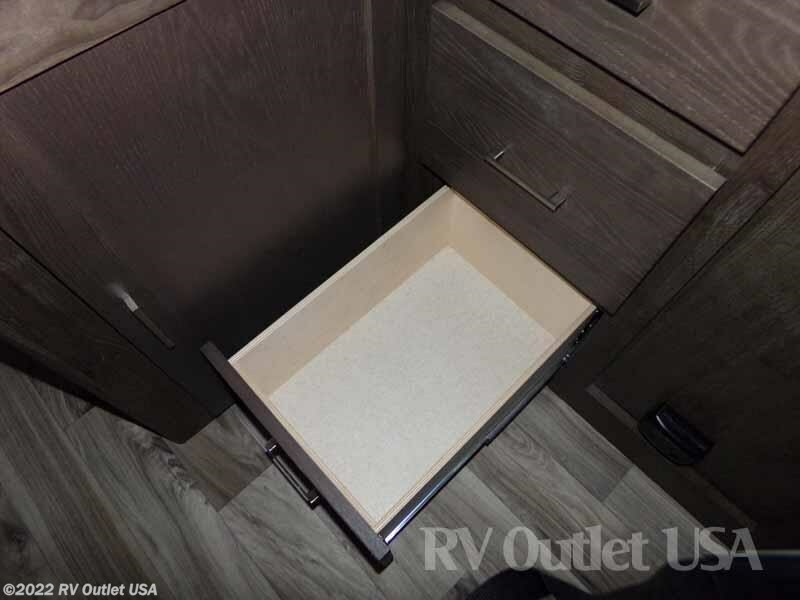 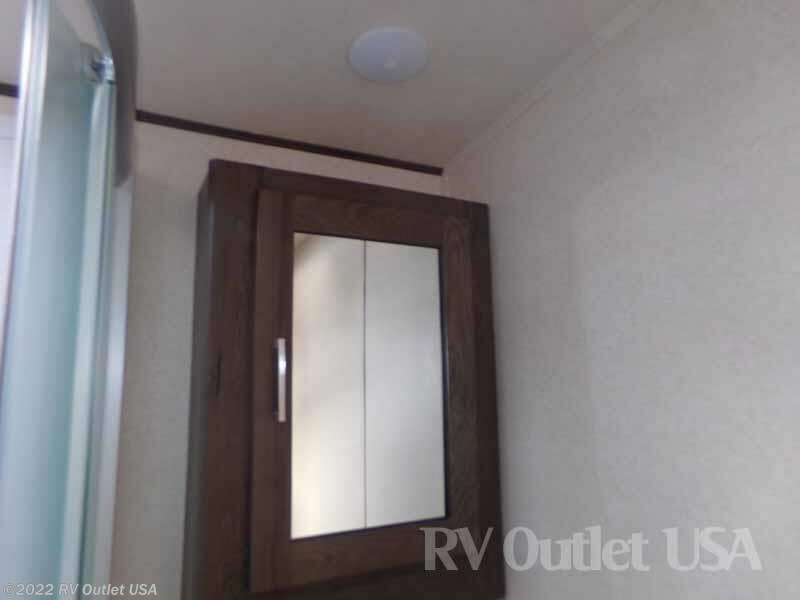 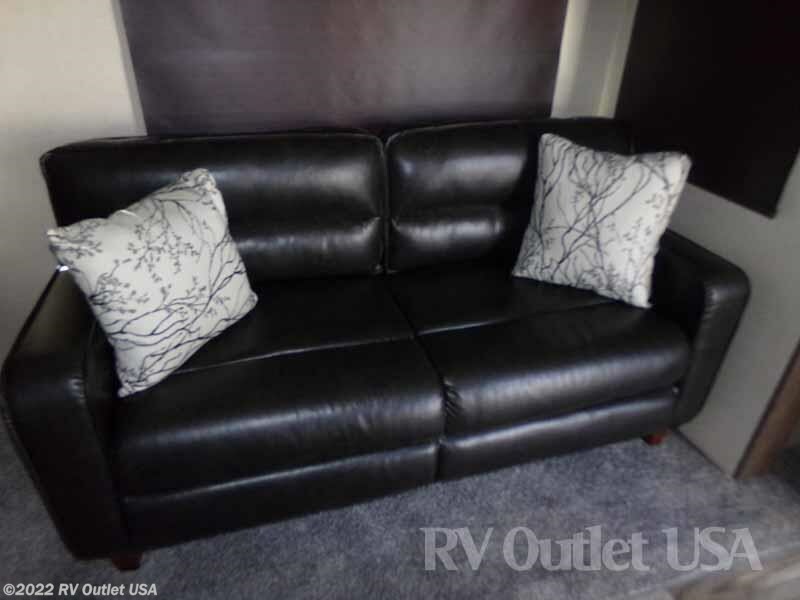 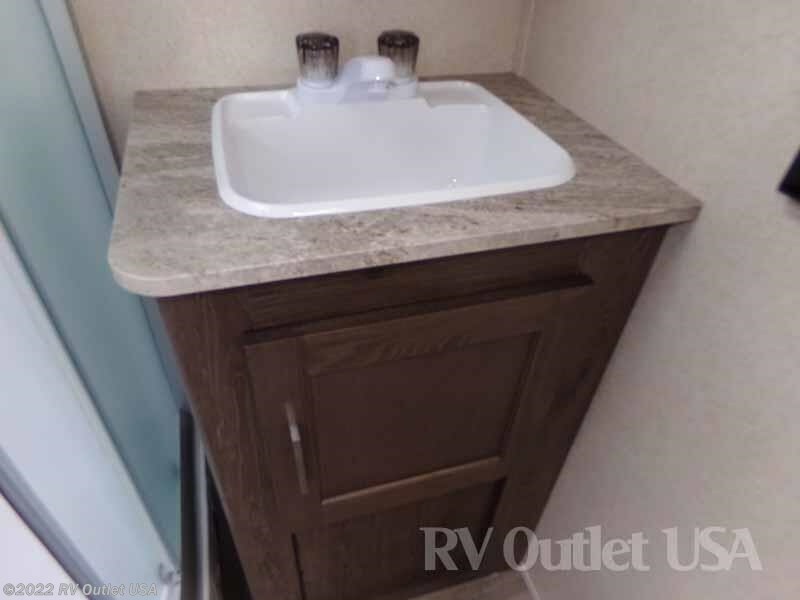 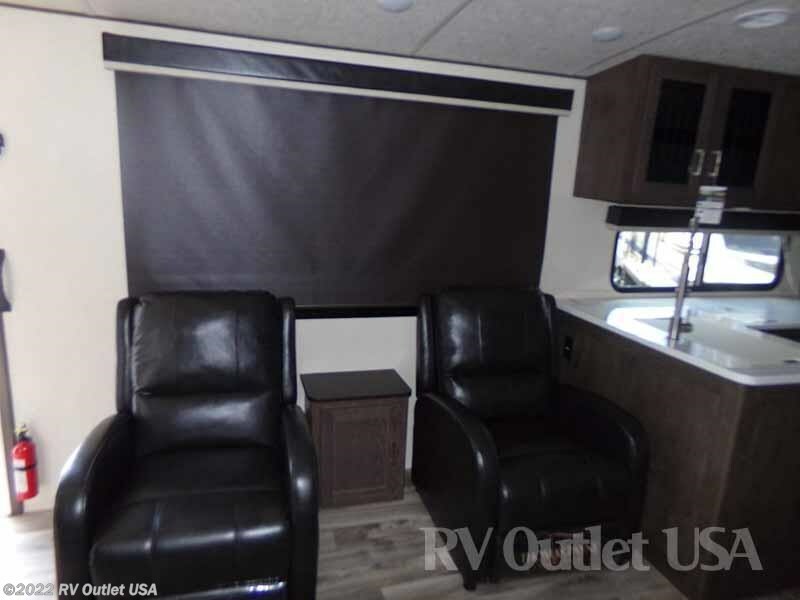 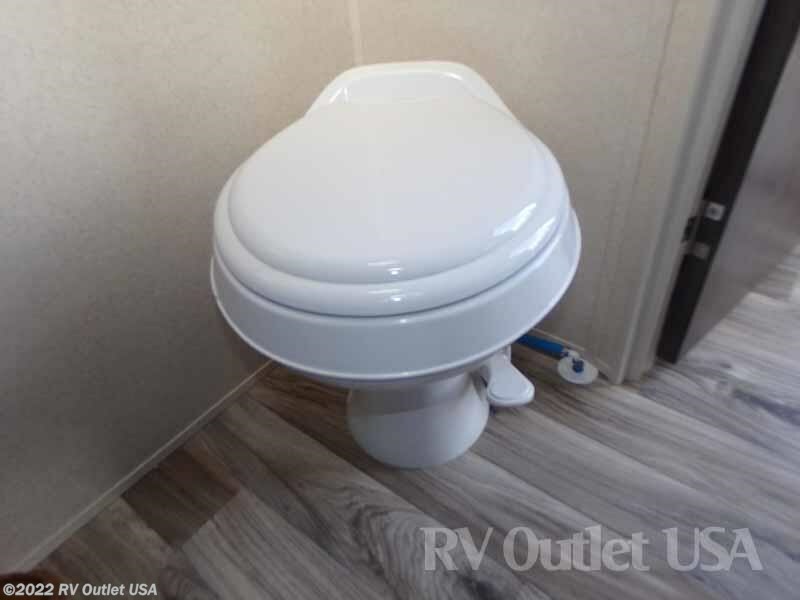 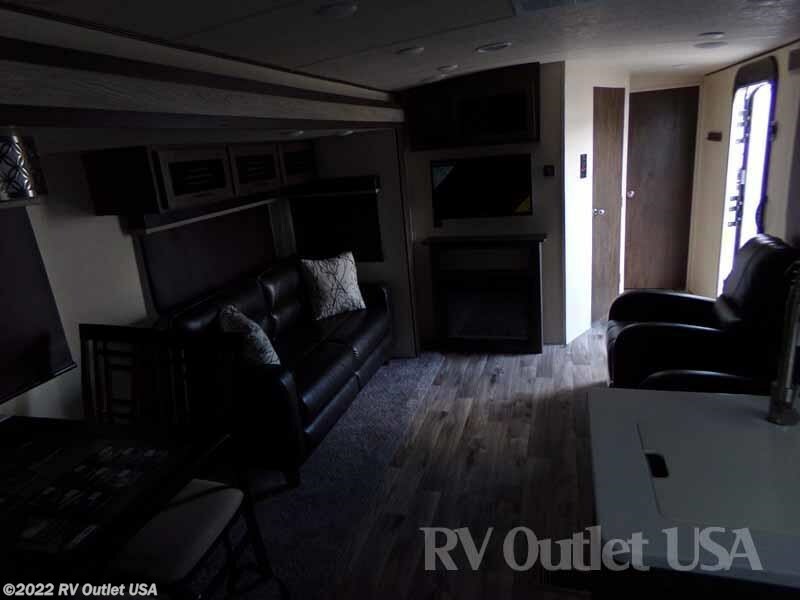 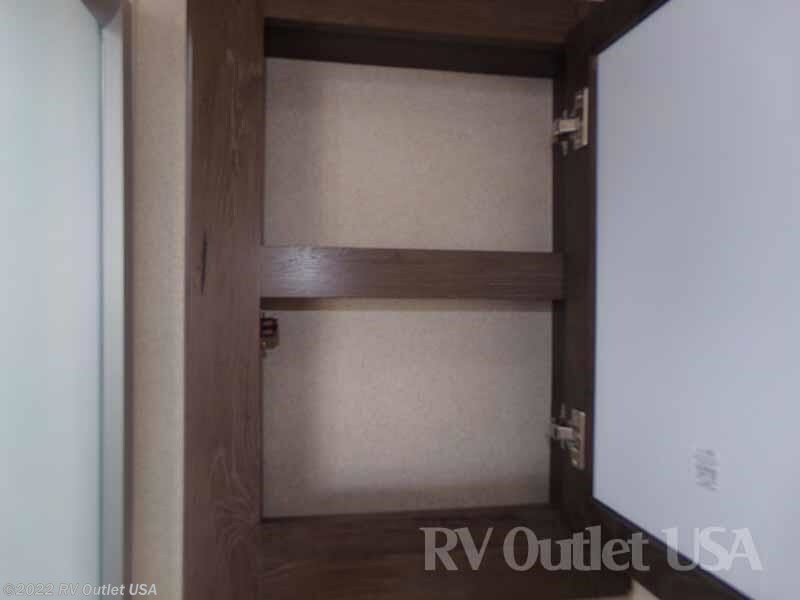 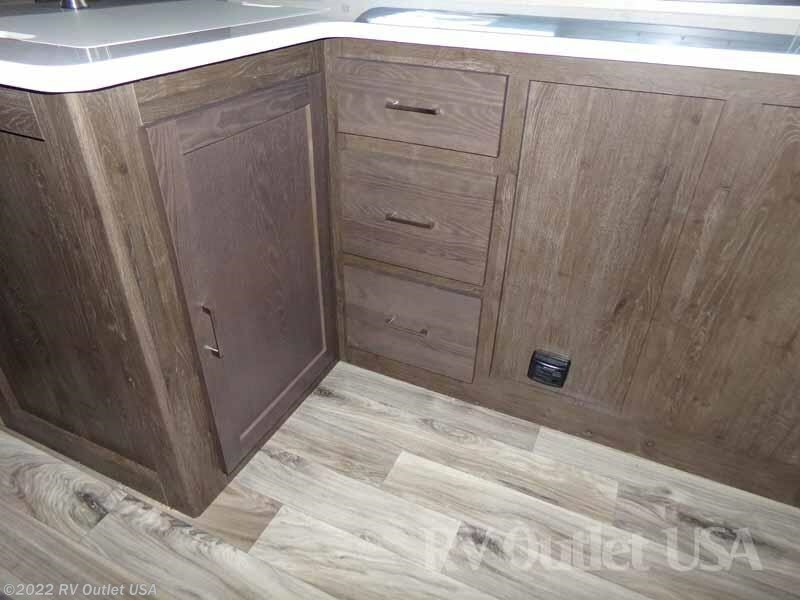 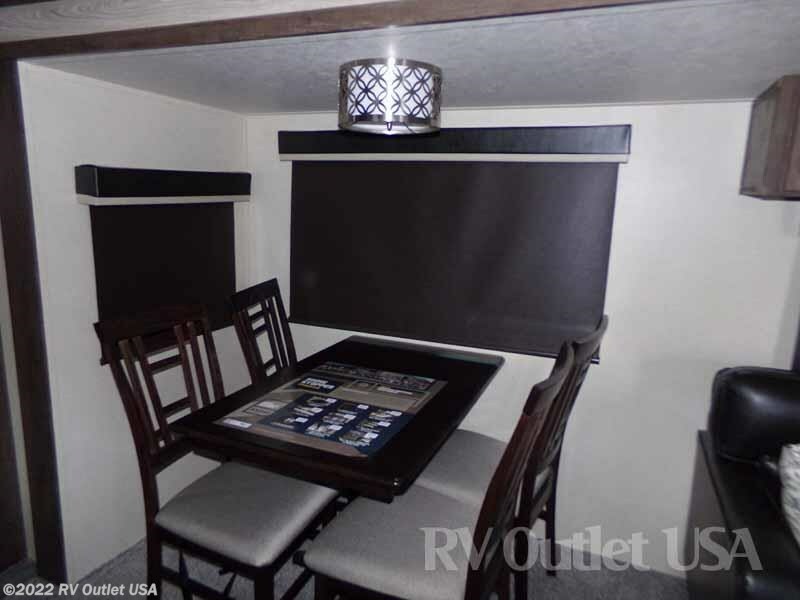 The living area in this RV is very spacious because of the huge super slide on the off door side which has a free standing dinette with (4) chairs and a hide-a-bed sleeper sofa which makes into a bed for extra sleeping room allowing this unit to sleep (4) people in this unit! 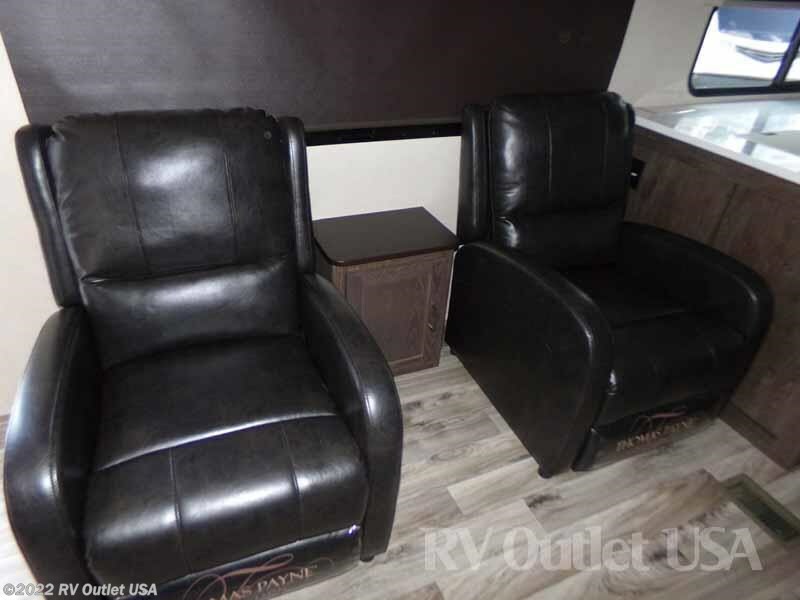 Across from the slide out are (2) swivel rocking chairs in front of a huge window. 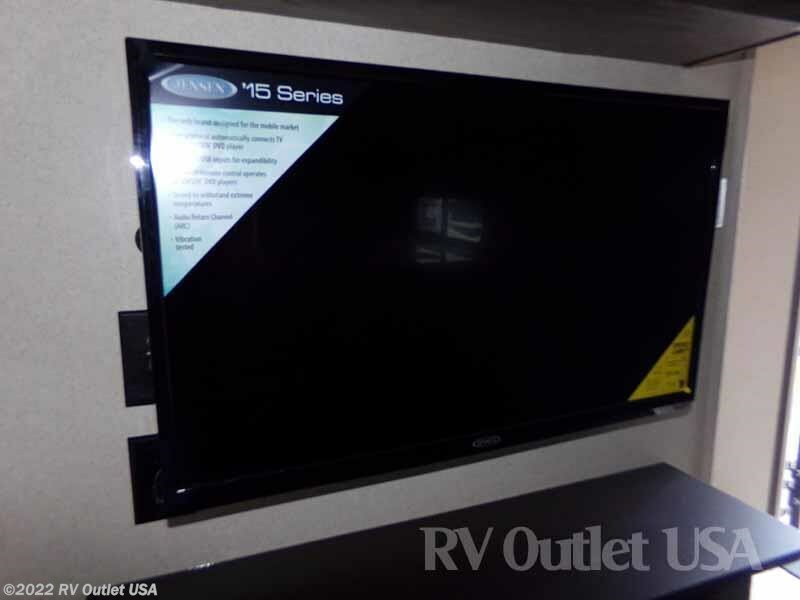 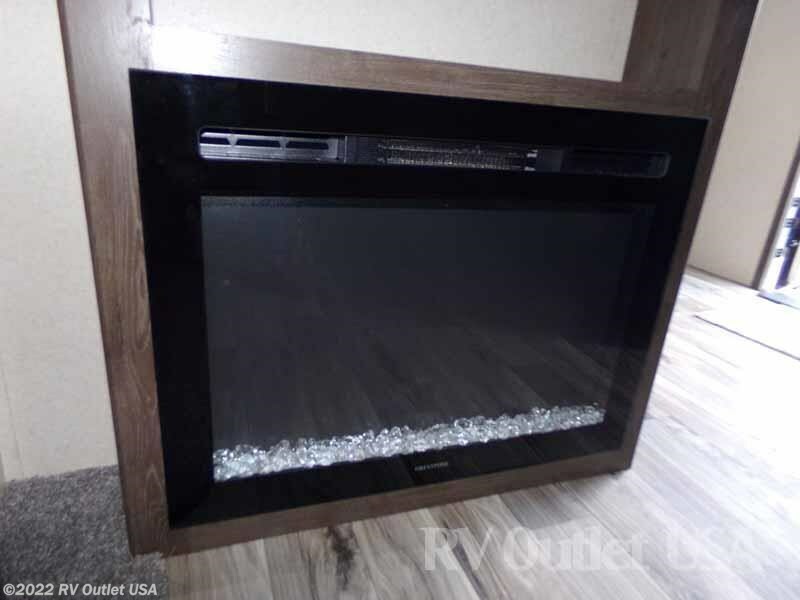 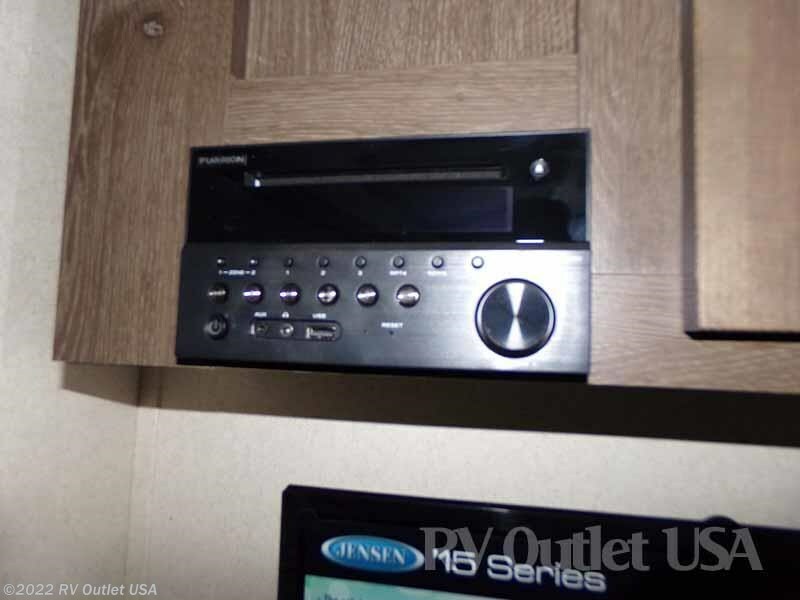 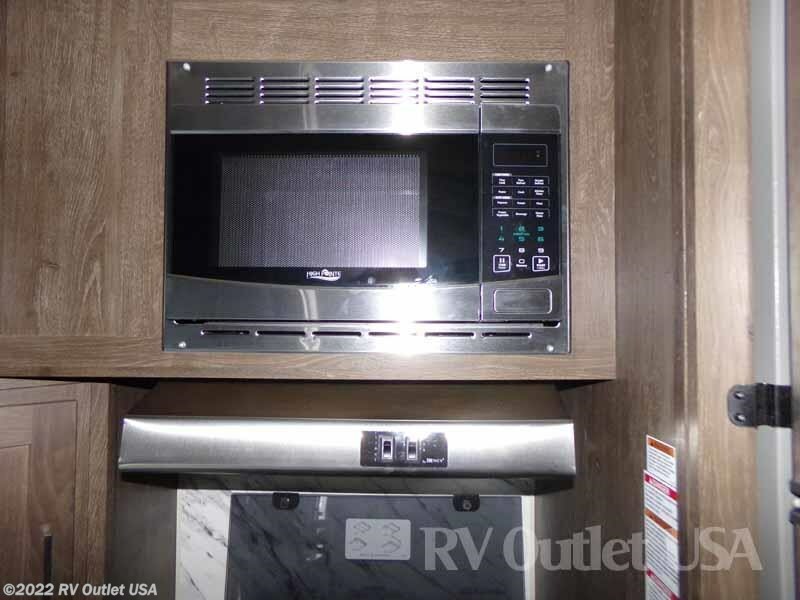 This 282RK has a nice entertainment center with an LCD TV, a nice electric fireplace, and an AM/FM/CD/DVD player! 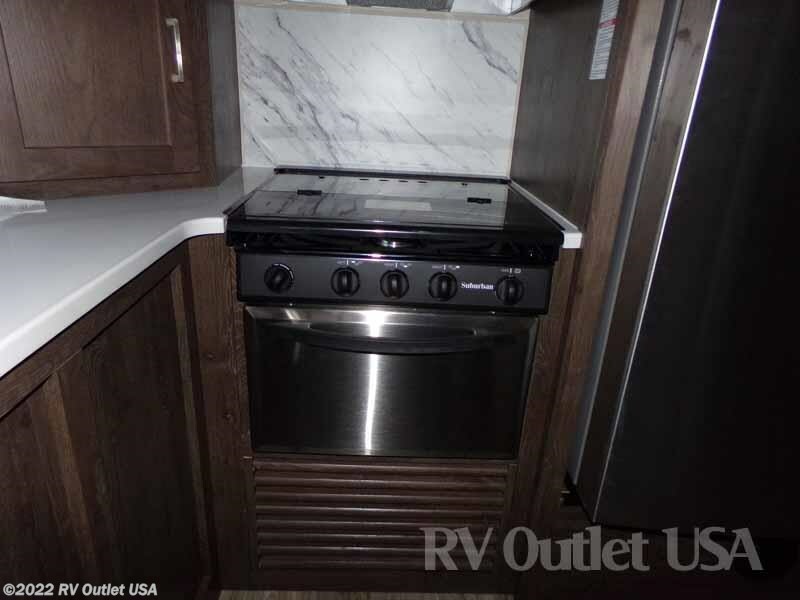 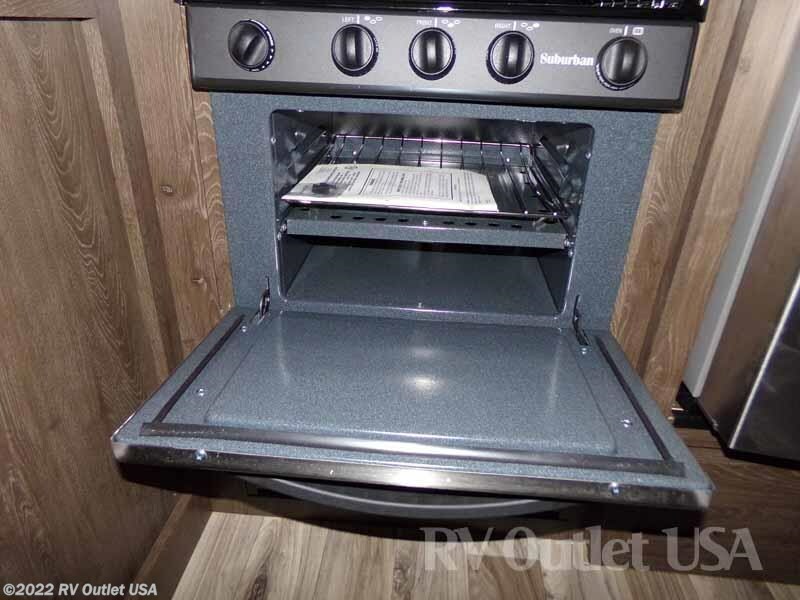 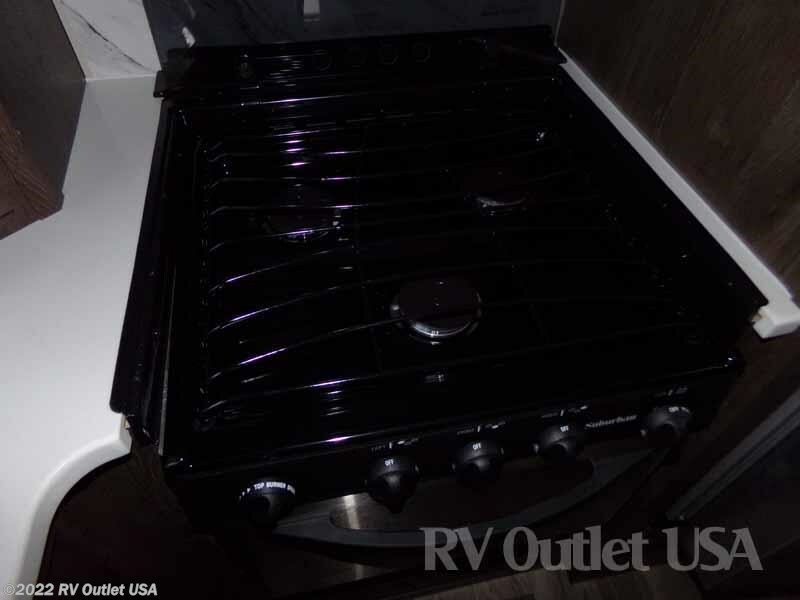 In the rear you'll find a large kitchen with a double stainless sink, a huge solid surface counter top, it has a (3) burner cook top with glass cover, an oven, a double door refrigerator, and a built in microwave. 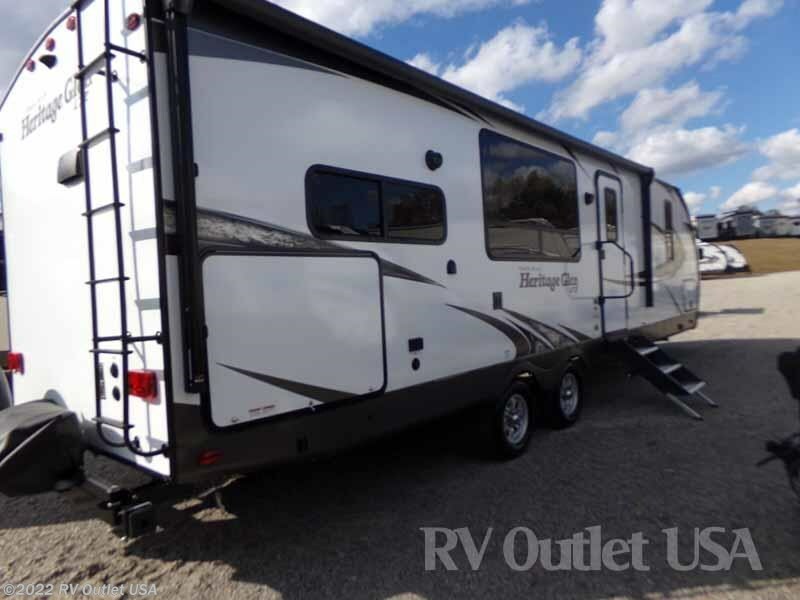 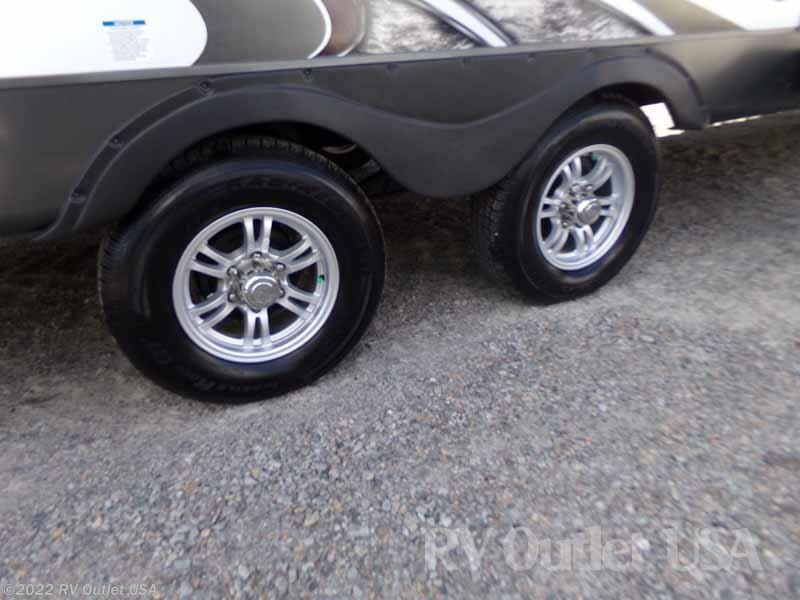 This is a nice travel trailer and it is 1/2 ton towable weighing only 6,799lbs. 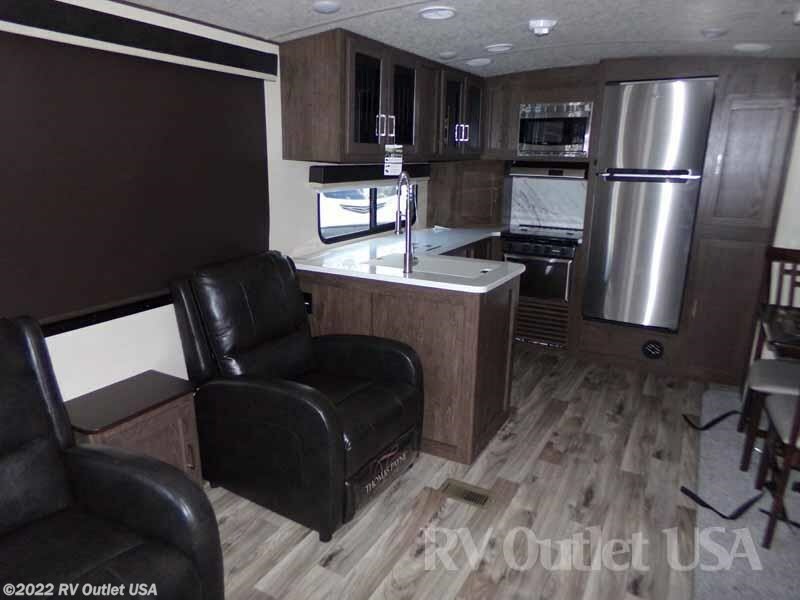 The interior color is Sienna. 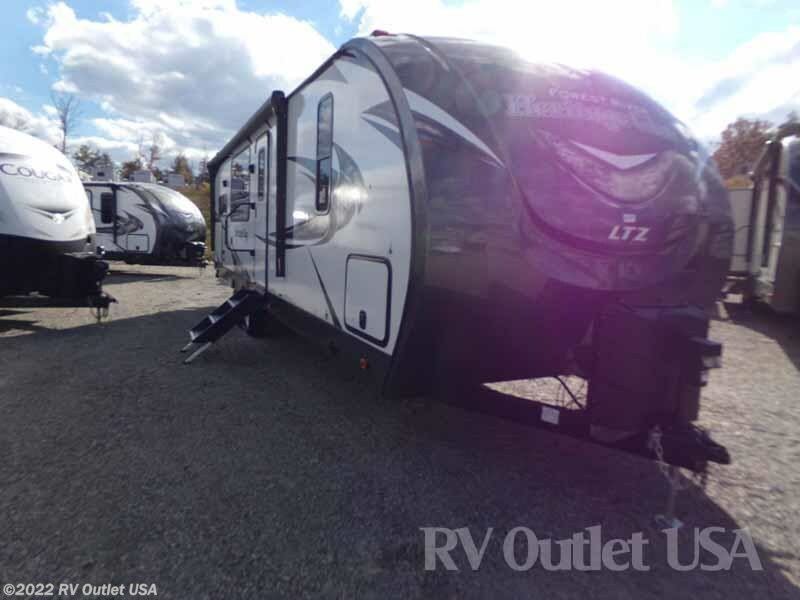 If you have any questions at all, please give us a call at 888-299-8565 and ask for sales. 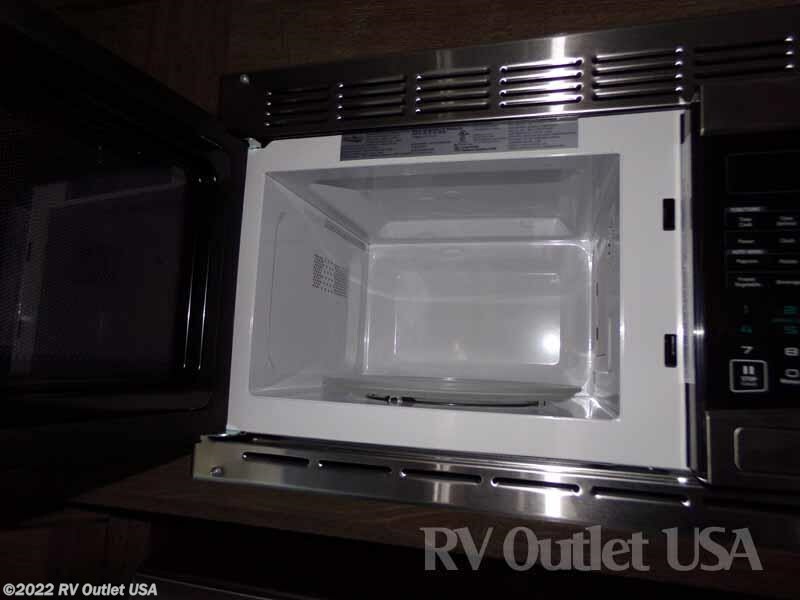 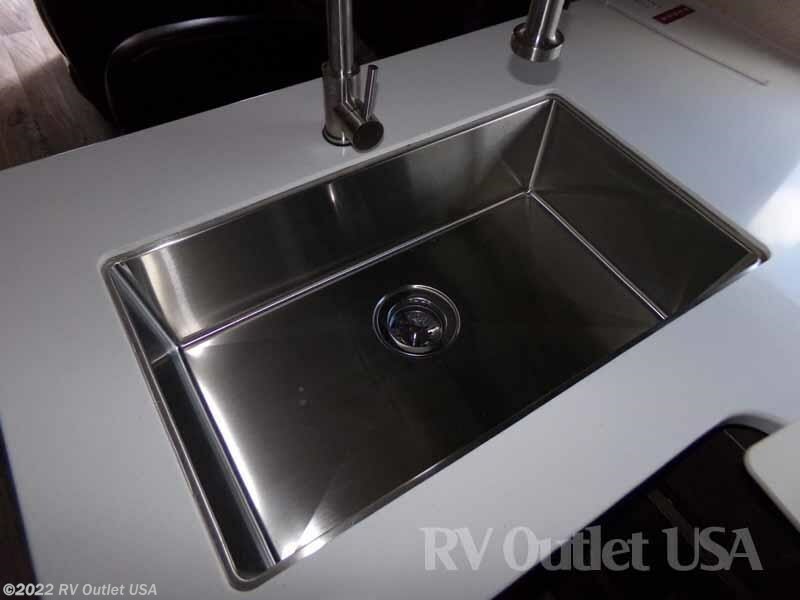 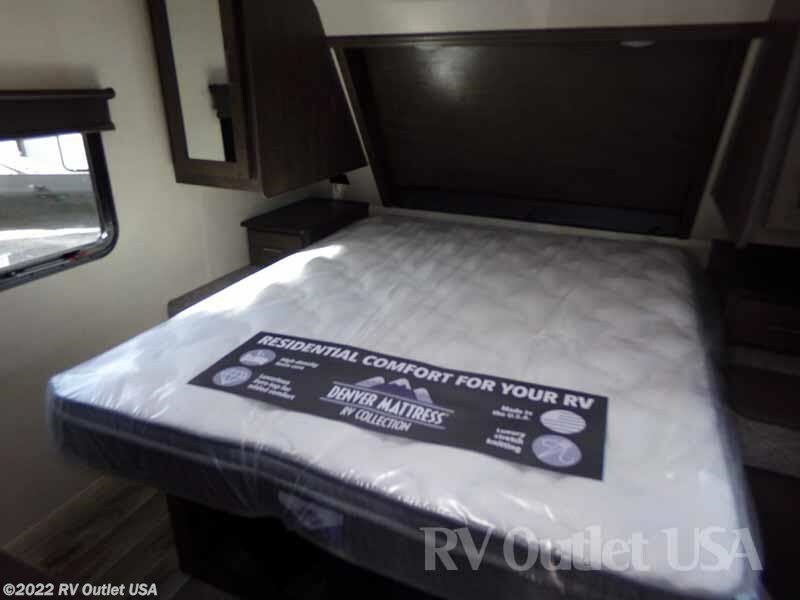 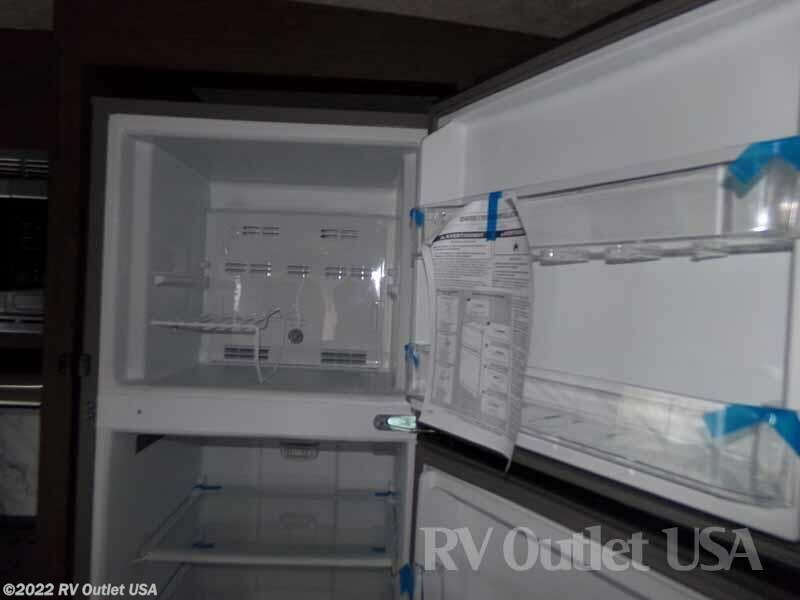 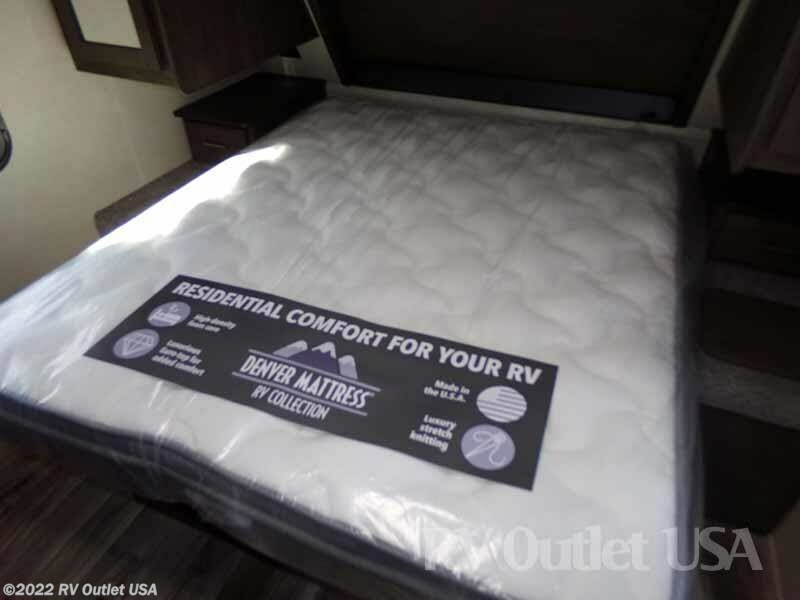 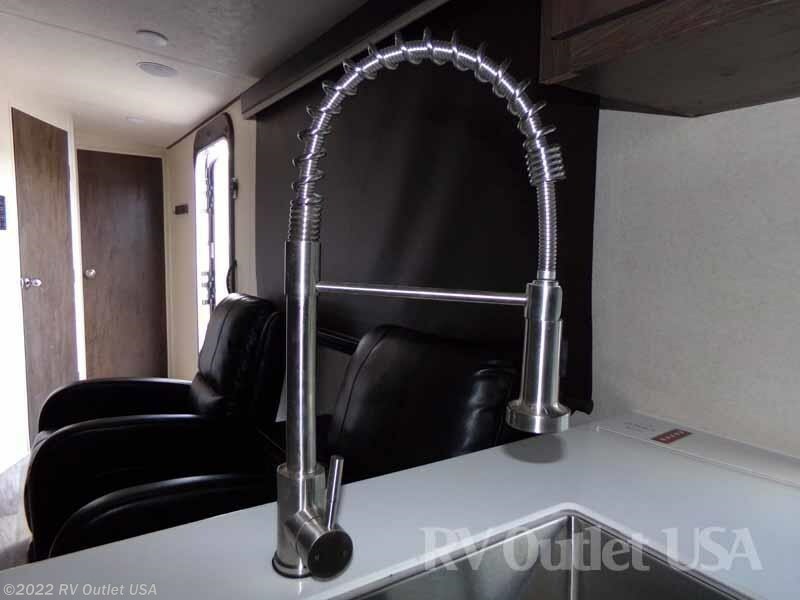 You can also email us at rvoutletusa(at)yahoo(dot)com and our direct website is rv007(dot)com. 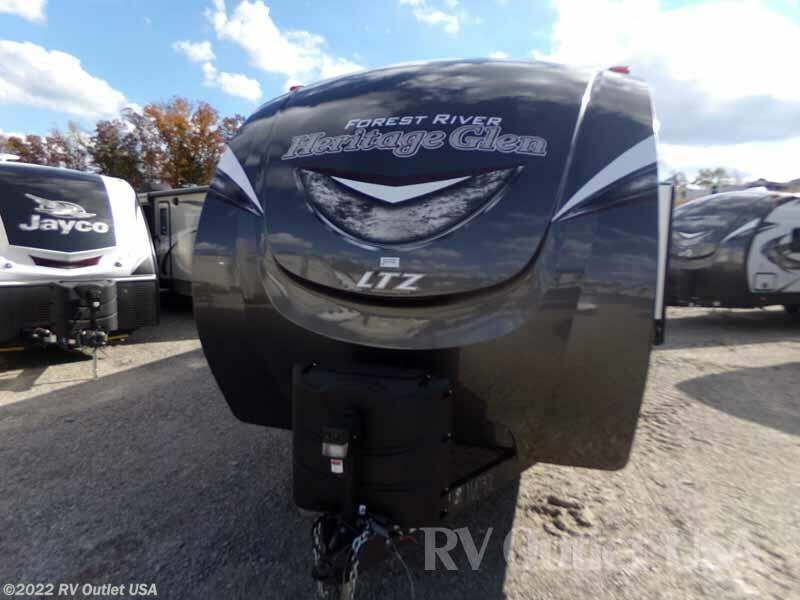 Please keep in mind, we have great financing and we offer HUGE discounts to our customers on 5th wheel hitches and installation, parts and accessories.